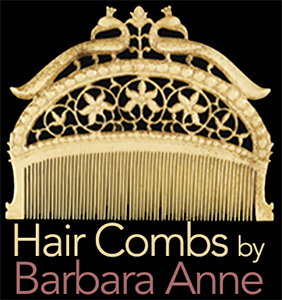 I would like to feature four museum combs today. The first comes from the Egyptian Museum in Cairo. 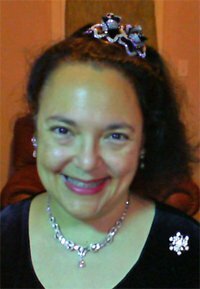 It belonged to the King Wadj, whose name means serpent. His tomb was found near the ancient city of Abydos. He was the third King of the First Egyptian Dynasty and ruled c. 2920 BC. In the comb’s carvings, you can see two serpents. Our next work was made by Maori master Patoromu Tamatea. 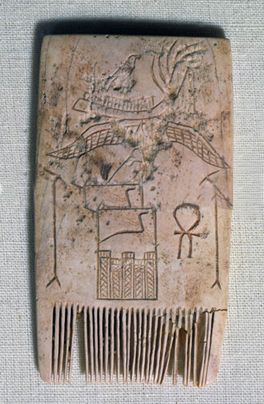 This bone Heru comb resides in New Zealand’s Museum of Wellington’s City & Sea under the collector’s, instead of the artist’s name. 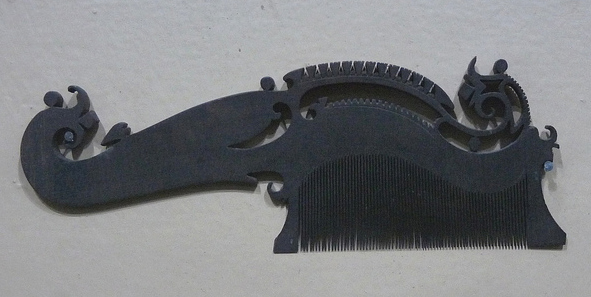 Next are two marvelously shaped combs from the Raja Dinkar Kelkar Museum in South India. Both were made from the 18th to 19th Centuries. 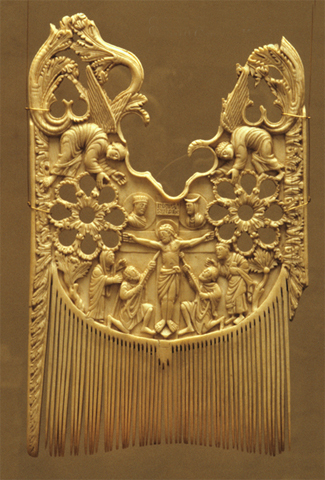 And last is a breathtaking liturgical comb, which belonged to Saint Heribert (970 – 1021). He was Archbishop of Cologne (Köln) and considered a saint in his lifetime. Pope Gregory VII canonized him c. 1074. This crucifixion comb is one of the prizes in Köln’s Schnütgen Museum and was made in the second half of the 9th Century.